Oct 25 - Flight Attendants - CCS Mobile app should be compatible with the new CCS! Note this is beta software - your schedule is on CCS. If any information is missing or incorrect - please e-mail us immediately. CCS Mobile is a stand-alone native app for Android phones/devices. It allows you to download your CCS flight schedule and view it offline  including crew photos. Also, provides easy access to overnight hotel reviews, flight-status (both Continental and United) and weather/NexRAD info  requires internet access. Note: CCS Mobile app is separate from CCS Max service and requires its own subscription. Introducing our free iCrew Hotels app - for layover information and reviews. Fully integrated with this app. CCS Mobile on your Android phone. 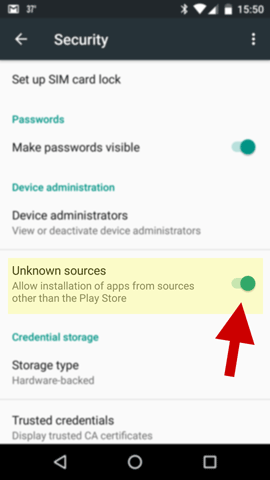 Before downloading the app, you first have to enable your Android phone to download apps from non-market sites. Go to Settings»Security menu and enable this feature. Then, using your Android phone's browser, visit this current page (i.e. www.ccsmax.com/mobile). If you're reading this on your Android browser, click on the link below to download. Once downloaded to the phone, tap on the notification bar to install the app. Start the CCS Mobile app on the phone. Press the menu button, select the Settings option. Enter your CCS emp-id, COAir and CCS passwords in the respective fields. Press the Back button to save changes and to put you back on the main app window. On the Android phone, start the CCS Mobile app. Press the menu button and select the Download option. You should see a Download Started message. After some time you'll get download status message. That's it  repeat any time you'd like to update your schedule. Is there a version for iPhone? On download initiation, your username and passwords are transmitted to ccsmax.com (encrypted) and then forwarded to CCS server (secure). The information is not saved on ccsmax.com. There's a 14-day trial period...once you subscribe, refunds are not offered. Subscription is tied to a single user and device (i.e. one subscription will not allow use on multiple devices). If you get a new device, just e-mail us and we'll transfer the remaining subscription days to the new device. User emp-id and passwords are encrypted and saved on the device. This information is also sent to ccsmax.com to download your schedule - but is NOT saved there. Your emp-id is saved on the server to track subscription and preferences. No user information is collected and/or sent to third-party sites. As always, your active work schedule is on CCS and it's your responsibility to check with it. CCS Mobile is not responsible for any missed assignments.